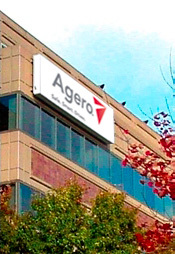 With over 40 years of experience, Agero is a leading provider of vehicle and driver safety, security and information services, including roadside assistance, consumer affairs and claims management services. We protect over 75 million vehicle owners in partnership with leading automobile manufacturers, insurance carriers and others. Managing a nationwide network of service providers helps us respond to more than 8 million requests annually for emergency assistance. Agero leverages advances in technology and information services to accelerate and enhance response to drivers’ needs while strengthening customer loyalty. These values serve as a foundation to guide our decisions and represent the standards by which we measure our individual and collective actions. We are leaders who maximize long-term value in the markets in which we compete. We achieve this position by providing value-added services which are recognized for their innovation, excellence, quality, and ability to anticipate and meet market needs. Our clients trust us with their most valuable assets: their customers. We recognize that our actions are a direct reflection of our client's good name, and we can be counted on to be worthy of that trust. We conduct our business with the highest professional and ethical standards and treat all resources entrusted to us as if they were our own. We are in the business of assisting people. We understand the importance of treating people with respect and dignity and recognize that exceptional quality and service begins with people. We listen to and support one another and provide an environment that supports personal and professional growth for all associates. We maintain an entrepreneurial, team-oriented, and fun environment. We provide strong incentives for superior performance that will enable us to attract and retain the best qualified people and accomplish group objectives. We join with colleagues across organizational boundaries for everyone's benefit and recognize the value of teamwork. We respect the tradition of excellence and also recognize the ever-changing needs of our business.